Chuck Schumer drew a line in the sand in his fight against President Trump. How Trump decided to respond could decide the fate of his Presidency. And President Trump responded with this one word that sent Chuck Schumer spiraling into a rage. Chuck Schumer and Nancy Pelosi teed up a fight with President Trump by supporting a resolution of disapproval to block the President’s declaration of a national emergency to build a wall along the Southern border. Democrats – and some Republicans – hoped the mere threat of the Senate passing a resolution of disapproval would force President Trump to withdraw his declaration. President Trump forced Senators to go on the record as opposing his plan to build a border wall. The resolution passed with 59 votes, which was less than some pundits predicted. But that did not mean the Senate stopped Trump’s plan cold. In fact, the President killed it with one word: veto. President Trump announced his veto in an Oval Office ceremony where he was flanked by sheriffs and the parents of children who were murdered by illegal aliens. Attorney General William Barr backed up the President. Barr explained why Trump’s declaration of a national emergency was legal. “The humanitarian and security crisis we have on the border right now is exactly the kind of emergency that presidents are permitted to address under the National Emergencies Act,” Attorney General Barr declared. President Trump praised the 41 Republicans who voted with him to oppose Chuck Schumer and Nancy Pelosi’s resolution of disapproval. “I’d like to thank all of the Great Republican Senators who bravely voted for Strong Border Security and the WALL. This will help stop Crime, Human Trafficking, and Drugs entering our Country. Watch, when you get back to your State, they will LOVE you more than ever before!” President Trump tweeted. Members of the fake news media claimed President Trump’s declaration of a national emergency would be political poison in 2020. But only one Senator up for re-election – Maine’s RINO Senator Susan Collins – opposed the President. Every other Senator facing the voters next year voted against Chuck Schumer. Schumer and other Democrats had hoped to use the vote as a wedge issue against the President and Senators running for re-election. Had Republicans running for re-election opposed Trump, GOP voters would have either recruited a primary challenger or stayed home on election day. But only Susan Collins took the bait. The other Republicans running for re-election saw this for the farce that it was and stuck with President Trump. 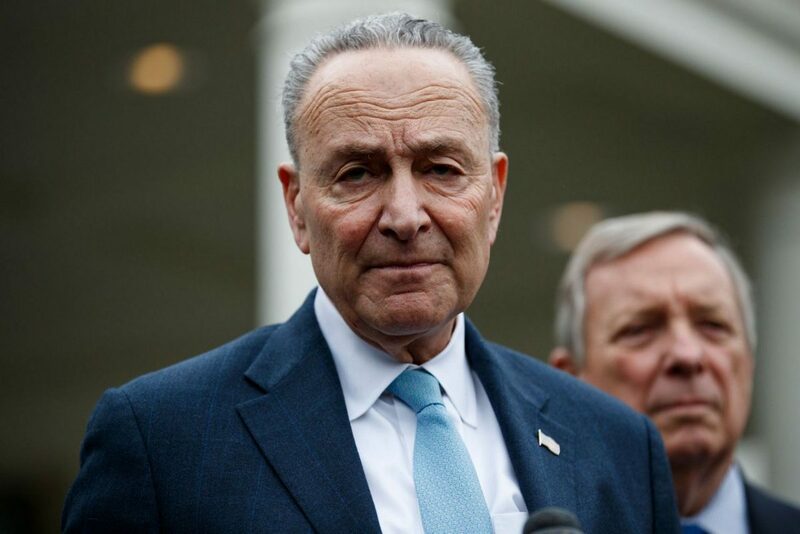 In the end, Schumer’s ploy failed and now political forecasters believe the Republicans who stood by the President are better positioned for re-election.